LA PAZ – Former Bolivian flight attendant Ximena Suarez, the only woman to survive the 2016 crash of an airliner carrying Brazil’s Chapacoense soccer club, now parades down catwalks as a model and plans to publish a second edition of her autobiography that came out last year. This Thursday night in La Paz, Suarez took part in a fashion show organized by the Brazilian and French Embassies in Bolivia in honor of the Bolivian Freddy Mamani, creator of the new Andean architecture. With her hair pulled back in a braid, the young model wore a black two-piece suit designed by the Bolivian Liliana Castellanos, combined with a white blouse and red shoes. She also carried a handbag in tones of lilac and blue, an Ilse Guzman Brockmann confection. “I love the catwalk and we’ll see later on what it brings me. Meanwhile, I’m open to anything and everything,” she said. 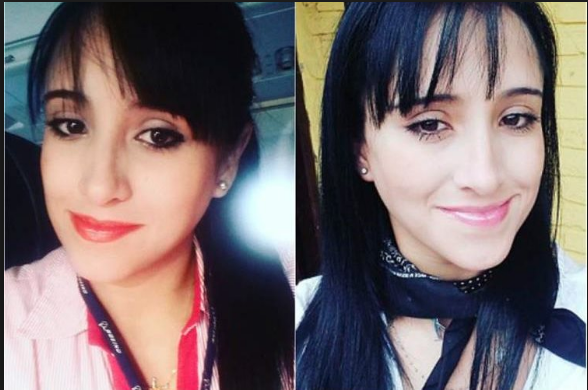 Born in the eastern Bolivian city of Santa Cruz, Ximena Suarez was a flight attendant on the LaMia charter airline when the crash occurred on November 28, 2016. On that date, the LaMia plane carrying the players and coaching staff of the Chapacoense soccer team, along with reporters and the flight crew, crashed on the approach to the airport in Medellin, Colombia, after running out of fuel. The crash took the lives of 71 of the 77 people aboard, mostly soccer players. Only six survived. A year after the accident, Suarez presented her book “Volver a los Cielos” (Return to the Skies), dedicated to the victims and survivors of the tragedy. This entry was posted in Bolivia, Santa Cruz and tagged plane crash survivor. Bookmark the permalink.